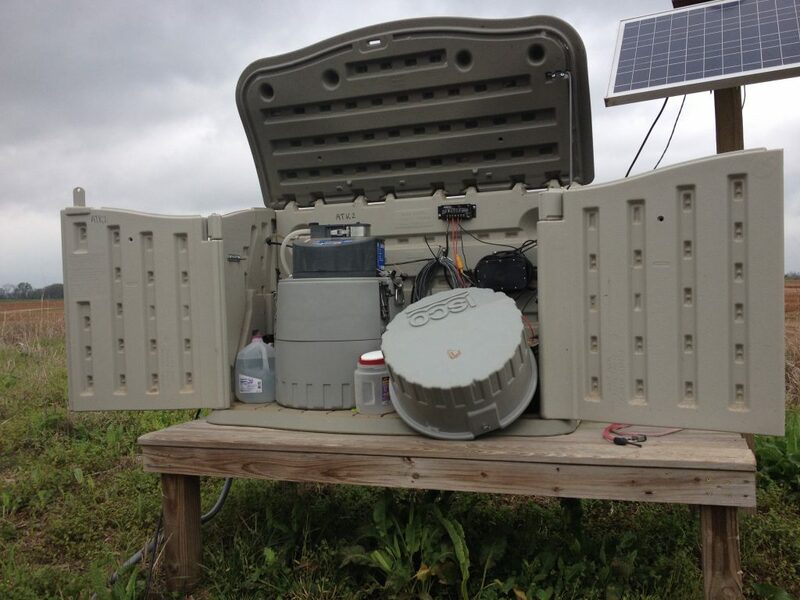 Monitoring stations enable NRCS to measure the amount of nutrients and sediment in water at the edge of farm field. Image courtesy of NRCS. The U.S. Department of Agriculture (USDA) announced the availability of $2 million to help farmers install edge-of-field stations that monitor water quality as it leaves their fields, providing data to evaluate the success of various conservation efforts. The funding is available to farmers located across key watersheds in nine states and is part of USDA’s ongoing commitment to measure the effectiveness of a wide range of conservation initiatives. “Testing the quality of water as it leaves a field helps farmers and USDA understand which conservation practices work best at preventing sediment and nutrient runoff. Verifiable data gives farmers, USDA and other partners information needed to make targeted conservation investments to improve water quality for everyone,” said USDA’s Deputy Under Secretary for Natural Resources and Environment Ann Mills. Mills announced funding for this effort, led by the Natural Resources Conservation Service (NRCS), in St. Louis at a meeting of the Mississippi River/Gulf of Mexico Hypoxia Task Force. 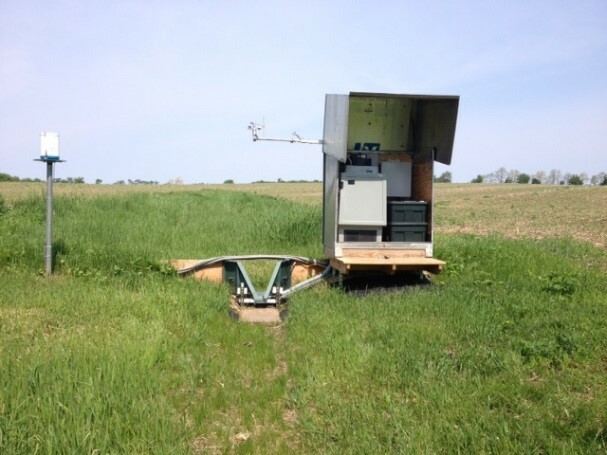 This edge-of-field monitoring station has a calibrated flume to measure water flow and loading of nutrients and sediment. Image courtesy of NRCS. In order to measure the water quality outcome of a given conservation practice, NRCS works with partners like universities and non-governmental organizations to monitor the amount of nutrients and sediment in water leaving two similar fields after rain or irrigation. Experts will monitor one where a conservation practice, such as the use of cover crops in the off season, has been put in place, and a similar field where the conservation practice has not been applied. Conservation practices typically evaluated include cover crops, no-till farming, irrigation water management and practices that reduce and trap nutrients and sediment. Farmers are already using edge-of-field monitoring data to adjust their strategies to improve the quality of water, soil and other natural resources within their operations. In the longer term, data collected from many sources will help producers make the most informed conservation investments possible and document how edge-of-field monitoring of conservation work benefits the public and communities. This calibrated flume used by the U.S. Geological Survey is used to measure water flow and loading of nutrients and sediment. Image courtesy of NRCS. This year, NRCS is offering edge-of-field funding in watersheds in Alabama, Arkansas, Iowa, Michigan, Missouri, New York, Vermont and Washington. 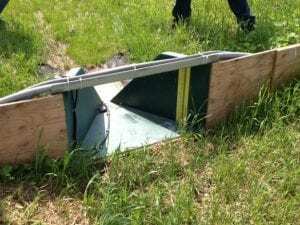 The program was launched in 2013 and has led to the installation of stations on private lands in nine states including Arkansas, Indiana, Mississippi, Missouri, New York, Ohio, Vermont, Washington and Wisconsin. The financial assistance is available through the Environmental Quality Incentives Program (EQIP) to install and maintain the monitoring systems for up to nine years, giving time to measure the impact of conservation systems on water quality under different conditions. For more information, visit the Edge-of-Field Monitoring webpage and your local USDA Service Center. Throughout the Obama Administration, USDA has generated thousands of critical partnerships to conserve and protect our natural resources on working landscapes, while enrolling a record number of acres in conservation programs. Seventy-percent of the nation’s land is owned and tended to privately, and America’s farmers, ranchers and landowners have willingly stepped up to address the growing impacts of a changing climate. With USDA’s support, they work to implement voluntary practices that improve air and water quality, prevent soil erosion and create and protect wildlife habitat. Since 2009, USDA has invested more than $29 billion to help producers make conservation improvements, working with as many as 500,000 farmers, ranchers and landowners to protect land and water on over 400 million acres nationwide. For an interactive look at USDA’s work in conservation and forestry over the course of this Administration, visit https://medium.com/usda-results.